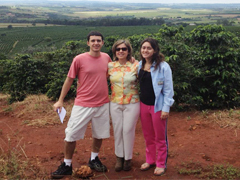 Fazenda Ambiental Fortaleza is a small family run green bean coffee supplier. We are a family run farm and a network of farms that work together. 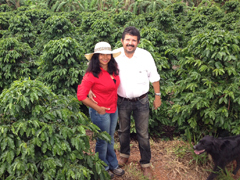 We aim to produce some of the highest quality and most unique coffees from Brazil. Our farm (FAF) is organic certified and some of the other farms in our project are Organic as well. However, most are not fully organic although we do encourage all our partners to move towards Sustainable practices and reduce toxics. Along with quality we aim to be environmentally holistic and healthy. We produce high quality sustainable coffees taking in consideration the quality of life of the people and of the environment we live in. We aim to involve all the chain, from producer to the end consumer, to work together for a better coffee, a continued relationship and a purpose in life. 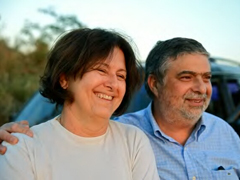 Browse your mouse over the pictures of our partners to read their profiles. 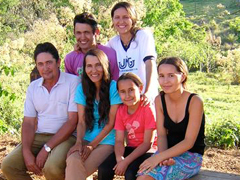 Flavio and Maria Lucia have committed their life's purpose toward recovery and preservation of one of the oldest farms in Mococa right on the border between Sao Paulo and Minas Gerais. 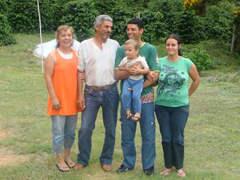 A Fazenda Sto. 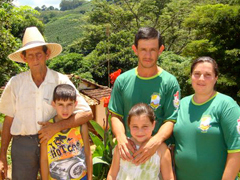 Antonio, localizada em Igaraí, Município de Mococa, leva uma "assinatura" alemã desde 1951, ano em que a família Eichel, fazendeiros na Alemanha, perde todas as suas propriedades em função da 2 Guerra Mundial e resolve imigrar para o Brasil, onde arrisca um novo começo. Varieties : Catuaí vermelho e amarelo, Icatú and Mundo Novo. We produce coffee on our 10-hectare farm at an altitude that ranges from 1200 to 1340 meters above sea level. 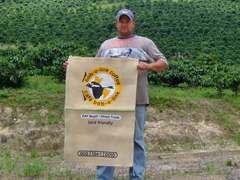 The varieties we produce are Catuai, Mundo Novo, Sumatra, and Bourbon. 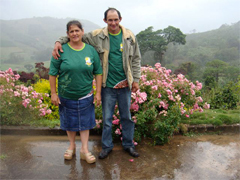 Celso and Gertrudes reside in the mountainous region in the district of Caconde, which is in the state of Sao Paulo. 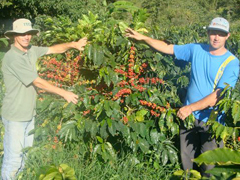 At an altitude of 1200 to 1340 meters above sea level we farm eight hectares of coffee. 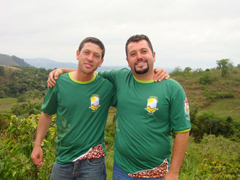 The varieties of the plant we cultivate are Catuai, Mundo Novo, and Bourbon. 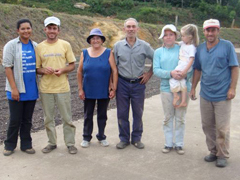 We are the Rossetto family, Italian descendants, and we plant coffee in the Mountain Mogiana region of Brazil. We come from a humble family and we live off of our farm. 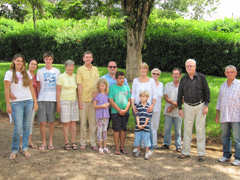 I moved to Fazenda Fortaleza in August of 1979.